Looking for a womens heart rate monitor but not too sure which one to get? This page has some suggestions for you. Not long ago most heart rate monitors were unisex and in fact were mainly designed for men. Nowadays many heart rate monitors have versions for women too. 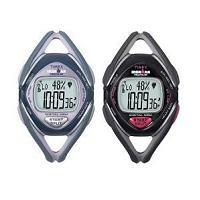 These womens heart rate monitors usually have more elegant designs and suit smaller wrist sizes. We have done some research on womens heart rate monitors and come up with 3 groups of recommended heart rate monitors: one each for fitness, running and strapless. These monitors are selected on the basis of quality, reliability, popularity and most importantly user reviews. If you are not sure which womens heart rate monitor to get, have a look at the suggestions below. Hope this page is of use to you. These models in this section are ordered by features. The simplest comes first. Polar FT4 is easy to use and provides the basic information that you need during your workout. These include heart rate, calories burnt and workout duration. The FT4 allows you to set up a heart rate training zone manually or automatically. At the end of the workout, you can review average/max heart rates, total calories burnt, and time spent in target zone. Training data is logged for your past 10 workouts. The display is large and easy to read, and the chest belt comfortable to wear. The FT4 is available in brown and purple. Polar FT7 automatically calculates your fat burning and fitness improvement heart rate training zones. When you are training, you can choose to lock into one particular zone, and the watch will beep when you train outside of this zone. Note however that it is not possible to set manual heart rate limits on the FT7. Data that can be displayed during workout include heart rate, calories, exercise duration/current time. At the end of the workout, you can review: duration, average/max rates, calorie burnt and time spent in the two zones. Training data for up to 99 workouts are saved and data can be uploaded via the optional Polar FlowLink device. The FT7 is available in black gold and red silver. Polar FT40 is similar to the FT7. It also automatically works out your own fat burning heart rate zone and fitness improvement heart rate zone based on your personal data. With this feature, it becomes now easy to choose your training intensity based on your goal for the session. It can display heart rate, calories, exercise duration/current time during workout. Later you can review duration, average/max rates, calorie burnt and time spent in the two zones after workout. In addition it offers a Polar Fitness Test to help you track your long term fitness. It saves up to 50 sessions' training data, which can be uploaded to the computer via the optional Polar FlowLink device. The FT40 is available in black and white. Polar FT60 is one of the best HRMs with many great user reviews. With the Star Training Program, it is able to offer training advice to you. Based on your goal and Fitness Test result, it helps you plan your workouts by suggesting weekly exercise time (in various heart rate zones) and calorie targets. At the end of the week, it gives you training feedback, and plans a new set of targets for your workouts for the following week. It is almost like having a real coach around. The FT60 features manual and OwnZone automatic heart rate training zones. It offers a lot of useful statistics for review after your training session and saves 100 workout sessions' worth of training data. With the optional Polar FlowLink, training data can be transferred to a computer. Finally it can be paired with an optional Foot Pod to provide speed and distance information, further increasing its versatility. The Polar FT60 is available in black and purple. In this section the first two models (from Garmin) offer speed and distance measurements, whereas the last two models (from Timex) do not offer them. Garmin FR60 comes in different bundles containing different accessories. When used with a (non-GPS based) foot pod, it provides speed and distance information and distance or pace alerts. An interesting feature called Virtual Partner races against you, making sure that you maintain your effort. It has a calorie counter, offers interval training features, records laps and saves multiple run histories. With Garmin Connect you can also plan and analyse your training online. The FR60 comes in black, lilac and pink/white. Garmin Forerunner 110 uses GPS to provide running speed and distance information. It is extremely easy to use. Simply lock on to the satellites, press start and off you go. The display is clear giving you distance, duration, heart rate and pace information. It has a calorie counter. The Auto Lap feature marks a lap every time you have run a certain distance. Training data can also be uploaded to Garmin Connect online software for further display and analysis. The Forerunner 110 is available in pink. 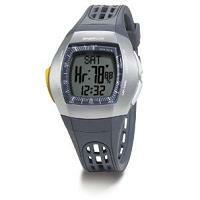 Timex Ironman Race Trainer is a great training tool for running and cycling. First, it has large and easy-to-read screens. It lets you set up a manual heart rate training zone or train in one of the 5 preset heart rate training zones (based on age). It counts calories, offers a 5 segment interval timer and takes up to 50 laps. It also features a sophisticated countdown timer and a recovery timer. After the workout, many pieces of data can be reviewed. Up to 10 sessions' training data can be saved. It uses digital transmission to avoid interference and supports an optional USB device to transfer data to a computer. The Race Trainer is available in grey/lilac and black/grey. Timex Ironman Road Trainer allows you to set a manual or automatic heart rate training zone. It counts calories, has a stop or repeat countdown timer, and takes up to 50 laps. To monitor your fitness over time it comes with a recovery timer. Data that can be reviewed include duration, time in target zone, average/max/min heart rates, calories burnt, recovery heart rate, lap and split times etc. Digital transmission is used for interference free heart rate monitoring. The Road Trainer comes in 3 colors: plum, black and white. Strapless heart rate monitors generally require that you put one or two fingers on the wrist watch sensors for a few seconds in order to measure you heart rate. The exception is Sportline Duo 1025, which can be used with a chest strap as well. Strapless HRMs are best used when doing light exercises or walking. Sportline Duo 1025 Women's HRM can be used with or without a chest strap. When walking or doing light exercises with breaks, use it without chest strap. When doing running or intense exercises, then use it with a chest strap. It therefore offers you a lot of flexibility. Other features include a heart rate training zone, a countdown timer, a calorie counter and a 100 lap counter. It can save 7 workouts' training data for future review. Mio Motiva Petite is a smaller version of Mio Motiva. Compared to the Motiva, the Motiva Petite looks more stylish and modern. The Motiva Petite calculates calories burnt during exercise and has some additional calorie management tools. It has multiple countdown timers, including a heart rate recovery timer. Your heart rate recovery rate is a measure of your physical fitness. Motiva Petite is available in grey and pink. The Mio Breeze Petite is one of the simplest strapless heart rate monitors. 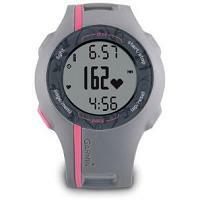 It measures heart rate on demand, has a stop watch and a countdown timer. That's it. It has no calorie counting or calorie management features. It is a smaller version of Mio Breeze and has a more elegant look and design. Since it also does basic time and date keeping, it can be worn as an ordinary daily watch if desired.